GEYC, with the support of Agence Universitaire de la Francophonie, Comite Des Etudiants Francophones Gaudeamus, Embassy of Tunisia in Romania and University Politehnica of Bucharest, organized on 8 November the "Voix-Voie" event which presented the extraordinary experiences lived by our colleague Gabriel Brezoiu, general manager of GEYC, in Tunisia and by Lamia Ajala, member of Association la Voix de l'Enfant Rural -AVER. 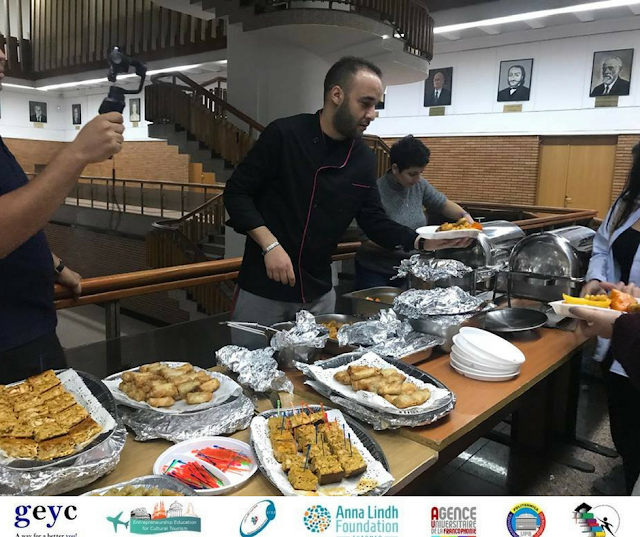 "Voix-Voie" celebrated the success of the bilateral partnership between Romania and Tunisia born in the framework of Euromed Exchange Programme organized by the Anna Lindh Foundation. In September 2017 Gabriel Brezoiu experienced the Arabic world for 30 days and after few weeks, Lamia Ajala came in Bucharest to find out more about social and solidarity economy in Romania. Their journey was full of events, funny experiences and new people, but most important, it was a learning process. 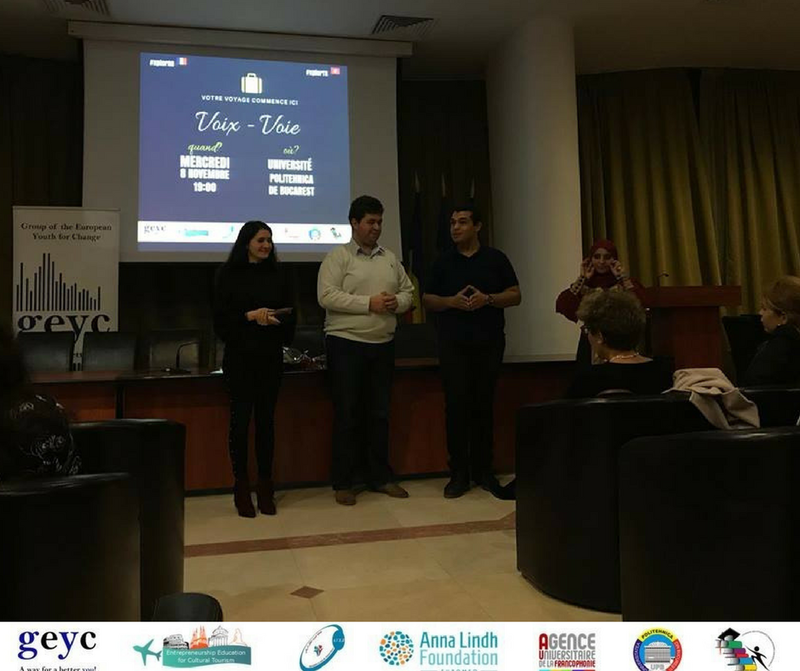 They shared their stories in the beginning of "Voix-Voie" event and explained more their role, the lessons that they learned, how this experiences changed their lives and how it is to live for a whole month in a totally different culture. 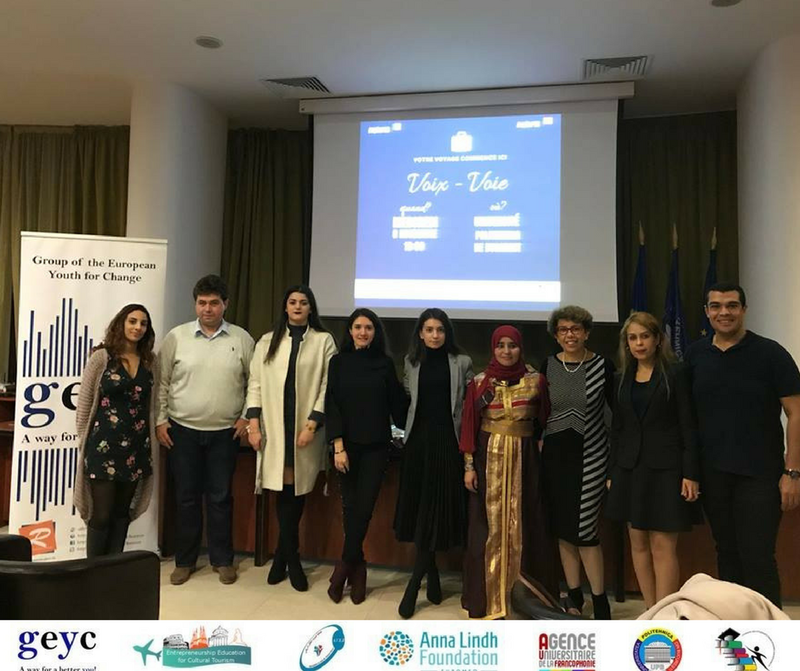 Along with the picturesque pictures and interesting videos about their journey, Gabriel and Lamia shared with the participants their feelings towards this experience and their motivation to join the Euromed Exchange Programme. Thanks to the support of the Embassy of Romania in Tunisia and the Embassy of Tunisia in Romania, Gabriel and Lamia managed to find out more about the situation of the countries that they visited and also a lot of useful information regarding the connections between Romania and Tunisia. Present at the event, H.E. 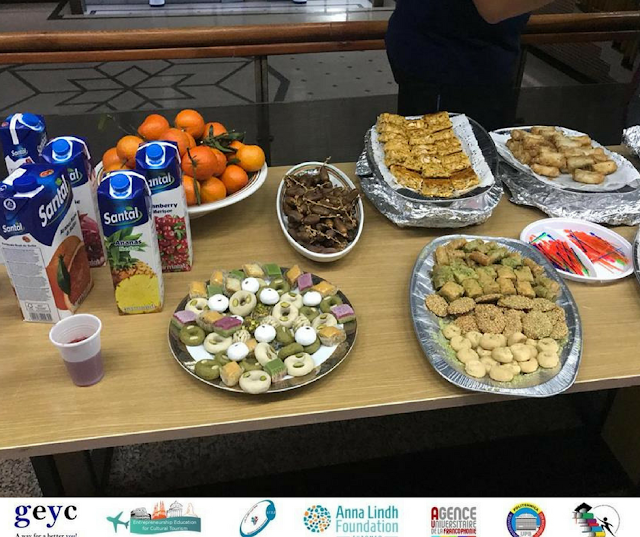 Mrs Boutheina Labidi shared with the participants interesting facts about the Tunisian culture, cuisine and traditions. 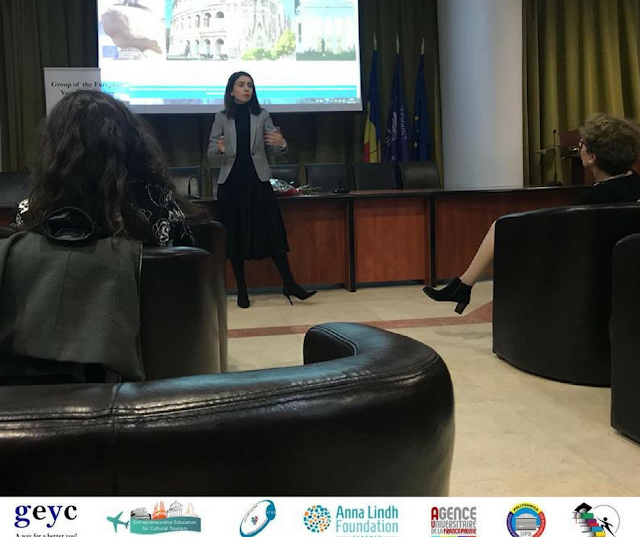 In the same time, taking advantage of this multi-cultural event, our colleague Vera Săcărea, presented Entrepreneurship Education for Cultural Tourism strategic partnerships and its benefits for the youngsters. Entrepreneurship Education for Cultural Tourism is a 19-months-project aim to encourage formal education and non-formal learning in support of young people’s innovation, creativity and entrepreneurship. Speaking about learning, recently GEYC and the other three European partners launched the e-learning platform where the persons who are interested in developing entrepreneurship skills. Click here for more details!